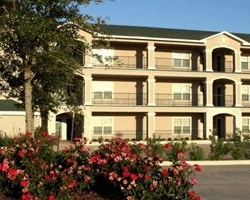 *Sunset Harbor Resort* is the premier waterfront destination resort in Texas! Widely known as "the cruise ship on land", this resort boasts pools, Jacuzzis, a spa and loads of other amenities, along with stunning, sprawling waterfront views. 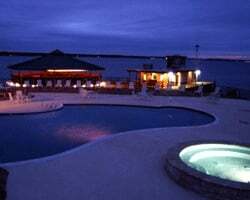 Let Lake Conroe enchant you! Wonderful customer service, a lakeside snack bar, tennis courts, a tiki bar, fishing, Waverunner and boat rentals, a video arcade, and deluxe waterfront units are the kinds of extra-mile details Sunset Harbor Resort can offer. It's the perfect place for family reunions! For more information, visit www.sunsetharborresort.com. Amazing resort, views & actitivies! Yearly usage in a floating week! Make your offer! Lake lovers' paradise! Odd years usage in May week 18! Buyer may receive a title fee credit; inquire for details! Water lovers' paraidse! Yearly in September week 37! Buyer may receive a title fee credit; inquire for details! Boaters & water lovers' paradise! Even years in January week 3! Buyer may receive a title fee credit; inquire for details! 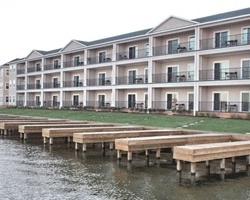 Waterfront dream resort with amazing amenities! Yearly usage in March week 10! Buyer may receive a title fee credit; and open to all offers! Biennial odd week 34! Convenient location to multiple activities! Buyer May Receive A Title Fee Credit, Inquire For Details! Annual red season week 40! Situated on lake canoe! Rent a boat or jet ski! Buyer May Receive A Title Fee Credit, Inquire For Details! Enjoy wk 15 every even yr in TX! Water front resort w/ breathtaking views yr round! Buyer May Receive A Title Fee Credit, Inquire For Details! Annual week 10! Beautiful waterfront resort! Buyer May Receive A Title Fee Credit, Inquire For Details! Resort features waterfront views! Enjoy any week you desire every even year! 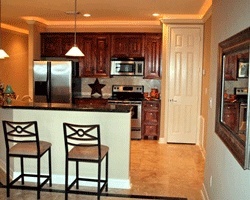 Perfect lakefront resort for your annual vacations! Make an offer today! Buyer may receive a title fee credit, inquire for details! Willing to negotiate! Beautiful location near a variety of water based activities! Buyer May Receive A Title Fee Credit, Inquire For Details! Beautiful waterfront resort! Luxurious amenities! Annual week 22! Buyer may receive a title fee credit, inquire for details! Stunning resort with tons of activities the whole family will enjoy! Buyer may receive a title fee credit, inquire for details!